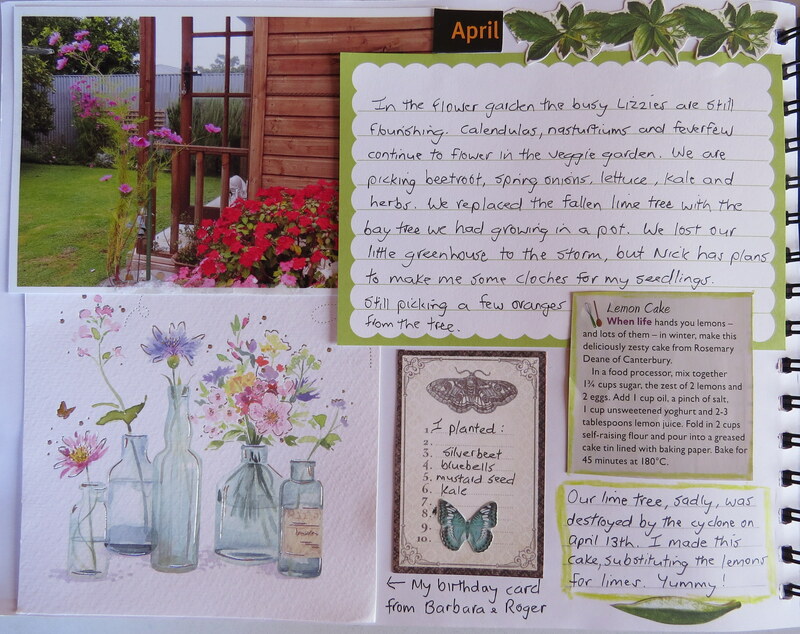 This entry was posted in flowers, Garden Journal, gardening, My Blog and tagged flowers, garden journal, gardening, gardens. Bookmark the permalink. 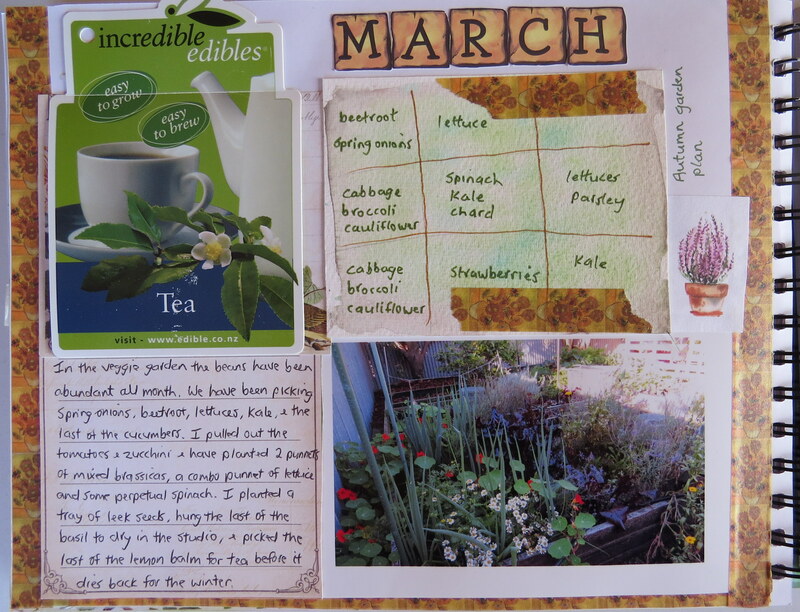 Your garden journal is very inspiring! What a great way to document your growth and ideas. I may need to make one of these now! I think I am going to have to check out that book as well. Thank you for sharing! Thank you so much, Kate! I think you would enjoy the book. 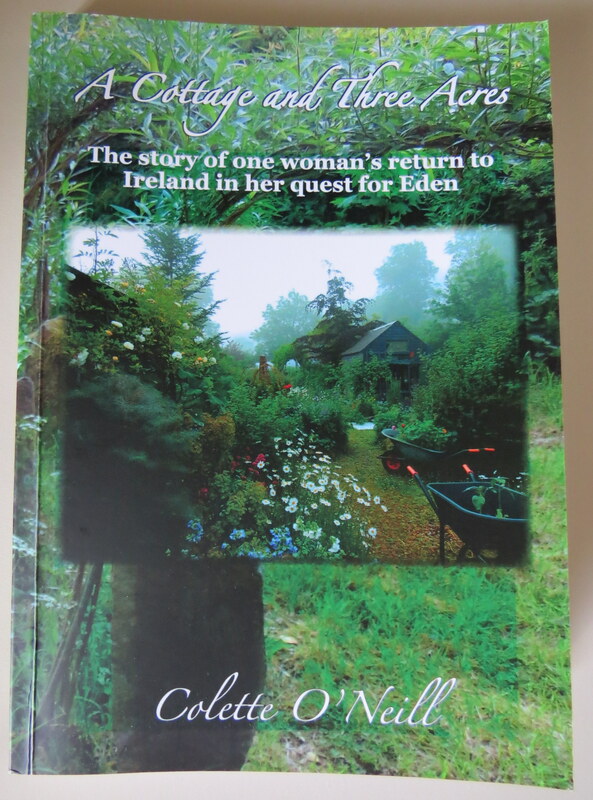 It also includes lots of lovely colour photos of the Bealtaine cottage and gardens. Thanks, Jo! 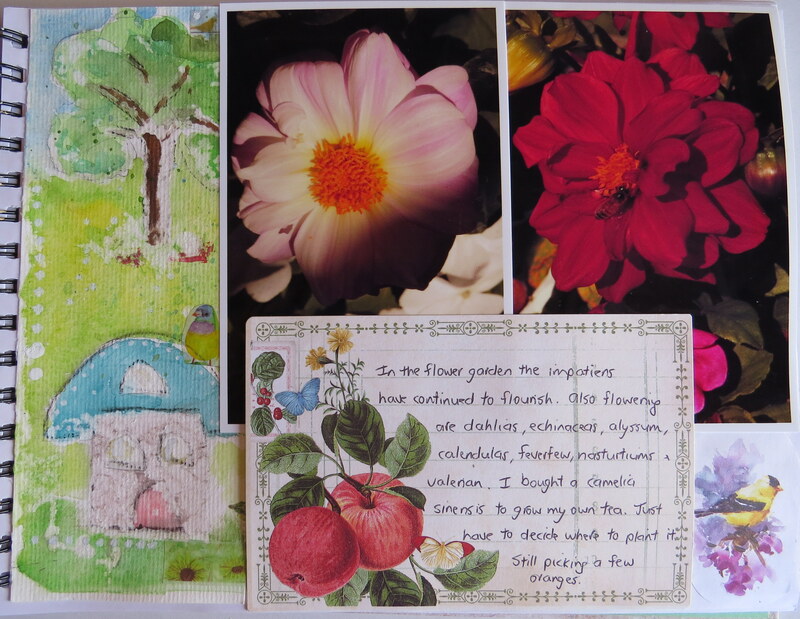 I was pleased to hear about how quickly your bay tree is growing. Ours never really grew at all in the three years we had it in a pot, so I am looking forward to seeing it thrive now it is in the ground. I enjoy drying the leaves to use in cooking. I can’t wait for next spring when I can use the leaves from our camelia to make tea! Enjoy the rest of your week, too! Thanks, Michelle! It was very sad to lose our lime tree. It provided us with so much fruit over the years. I have been baking cakes and juicing the limes to use up all the fruit it was laden with when it fell over. I do so envy your garden. I have a terrible time with gardening. 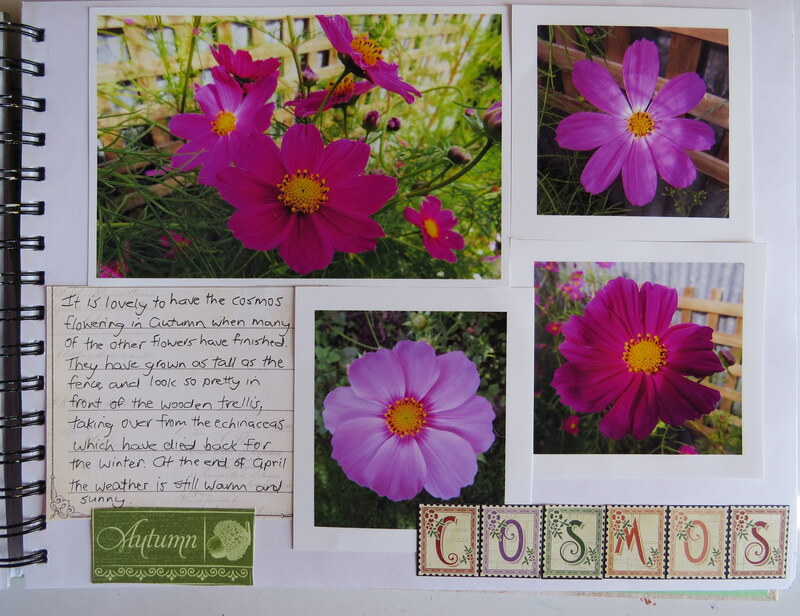 Your cosmos are beautiful. I enjoy growing things, and am still learning as I go. 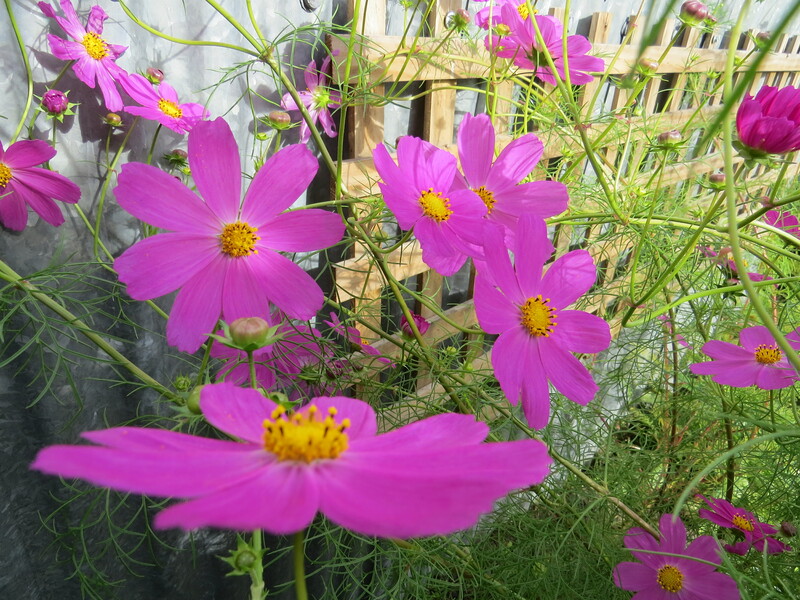 The cosmos are great because they self-seed and come up on their own each year, one of those plants that makes a beautiful show with little effort!